The Truth with Lady Shanail Monick is tackling Real Life issues of today’s world. talk to Real Life People who are Speaking Nothing but the Truth. Its a program that will motivate, inspire and encourage our next generation . Living the real Life TRUTH OF THE BIBLE !!! HIS PROGRAM WILL BEGIN PLAYING LIVE AT ITS SCHEDULED BROADCAST TIME. IF YOU ARE USING A MOBILE DEVICE PLEASE BE AWARE THAT THERE ARE SOME MOBILE PROVIDERS THAT WILL NOT PERMIT AN AUTO PLAY FEATURE. IF YOU ARE EXPERIENCING THIS PROBLEM YOU MUST CLICK ON THE PLAY BUTTON FOUND ON THE LEFT SIDE OF THE RADIO PLAYER AT THE BOTTOM OF THIS PAGE TO ENJOY THIS PROGRAM. Shanail Monick is a Successful entrepreneur who specialize in Life, Health coaching. She realized after battling Lupus for 5 years she wanted to help people live healthy and reshape their lives. Her expertise in coaching was developed through an extensive study of coaching technologies, philosophies, and various profile assessment tools. Shanail has coached corporations, fitness, health, and wellness professionals, entrepreneurs, business men and women, and more. Not only is she a motivational speaker and Lupus Activist .She is a Certified Personal Assistant to Non-Organizations, Larger Cooperate business Owners. She has a FIGHT4LUPUS organization bringing awareness to the chronic illness Lupus and fighting for a Cure ! 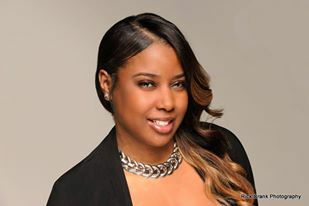 A successful entrepreneur, Shanail recently been honored for Most Courageous Health and Speaker for 2015.She been featured in New South Tm Magazine and Guest on TLC Insight Show. Creator and Ceo of Celebrity Style Hair, all natural human hair extension line. She has travel around the world speaking at different empowerment events, radio shows and international broadcast shows. Served as a Highly recommend Sales Coach for 10 years, Transitioning in to a Certified Financial Counselor at Consumer Education Service for 5 years which helped thousand of people eliminate their debt to live financial free. With Shanail Monick Inc, you are guaranteed success in Life and Business.